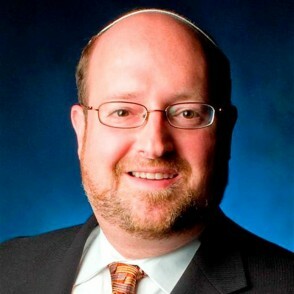 Rabbi Dr. Kenneth (Kenny) Brander is Vice President for University and Community Life at Yeshiva University. He concurrently serves as the inaugural David Mitzner Dean of Yeshiva University Center for the Jewish Future. The CJF shapes, enriches and inspires the contemporary Jewish community by convening the resources of Yeshiva. It does so by infusing the student body with the spirit of leadership and a sense of klal Yisrael. CJF serves to build, cultivate and support communities, rabbinic and lay leaders, and individuals. Furthermore, CJF is creating a global movement that promotes the values of Yeshiva. Rabbi Brander is rabbi emeritus of the Boca Raton Synagogue, founding dean of the Boca Raton Community Kollel and founder of the Weinbaum Yeshiva High School of Broward and Palm Beach counties. During his 14 years of service to that community, he oversaw its explosive growth from 60 families to some 600 families. Rabbi Brander is a 1984 alumnus of Yeshiva College and received his ordination from the Rabbi Isaac Elchanan Theological Seminary in 1986. At RIETS, he had the distinction of serving as personal aide to the esteemed Rabbi Joseph B. Soloveitchik. He also received special ordination from Machon Puah, a center of medical ethics in Israel, and from former Chief Rabbi Mordechai Eliyahu in the field of medical ethics. He received his PhD in general philosophy from Florida Atlantic University. Yom Ha’Kippurim A Day Hallowed in Fear or Honored in Joy? The Modern State of Israel: Is Redemption Possible Through a Natural Process?